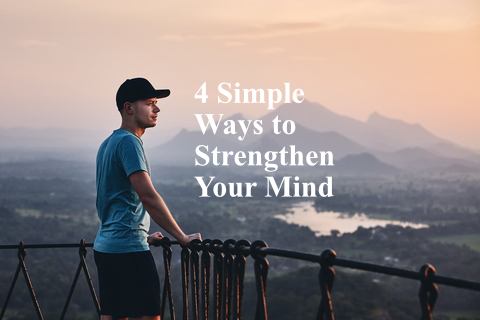 1 – Concentrating your mind on one thing for a little while works wonders. This seems very simple yet it’s very hard to do in reality. Our mind wants to jump from one thing to another. Give our mind single-pointedness allows our mind to become calm and bring peace to our heart. The coffee jitters of the uncontrolled mind disappear and the soul starts to take over… thus deep peace pervades our life and we find a whole new way of expressing ourselves. 2 – Start commenting on your own thinking. Most of the time our mind is commenting on what others are doing never taking into account what our mind is doing. To analyze our thoughts to look deeply into our innate ability to think and the quality of our thinking can change everything. 3 – Contemplating your own actions. Most of the time when we do something we never contemplate why we did this or that. We do it all without thought. It’s a mindless existence. But if we become mindful of what we are doing, mindful of the consequences of every action we take… everything changes. Take for instance a man working with atomic energy at his work. He has looked at the atom, looked at how to break it apart and the great amounts of power that comes from that knowledge yet he never contemplates the long term outcome of his actions. Could this be used for good, could this be used to harm? If we on a daily basis looked at our actions and made changes in our actions because we didn’t like what we see our planet would not be in the place it is right now with pollution, wars, and hatred. 4 – See yourself from the point of view of your Creator. All of this comes from the ability to look at ourselves from a God-like place. A place of great acknowledgment of our power and the fact that we are more than this flesh and blood. And need to make changes in the world because we know our own power within. The ability to see ourselves from a distance and know that all actions have a consequence is important… then we take responsibility for everything we do… and this brings about peace, love, and calm for the whole planet. This entry was posted in The Relaxed Soul and tagged 4 Simple Ways to Strengthen Your Mind, Concentrating your mind on one thing for a little while works wonders, Contemplating your own actions, Dr. Paul Haider, Having a Great Life, Healing, Health, Here are a few ways to look inward instead of always gazing outward, HH, Master Herbalist, Photo, See yourself from the point of view of your Creator, Seen From a Distance The World is Very Simple Place, spiritual teacher, Start commenting on your own thinking, USA. Bookmark the permalink.